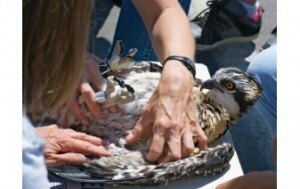 Our professional staff includes biologists, zoologists, wildlife managers, animal control officers and anti-cruelty personnel. Our team of experts combines their extensive education and experience with a genuine concern for animal welfare. This adds up to the finest wildlife control programs available anywhere. Screening vents, installing chimney caps and closing entry holes reduces the opportunity for pesky mice, raccoons, squirrels, skunks, and other animals to enter your home. Call us at 407.295.7194 or fill out a Contact Us form.